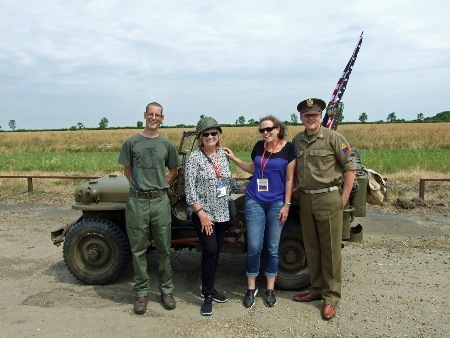 It was a pleasure and a privilege to provide MVs to take a World War Two veteran and families of other veterans on a tour of the former USAAF B-17 base at Deenethorpe, near Oundle. 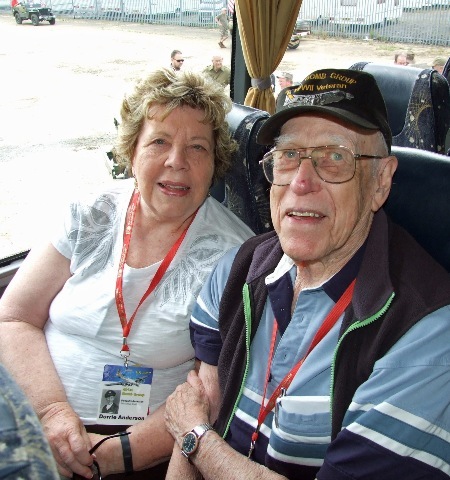 The veteran, 92-year-old Don Anderson, was a Flying Fortress tail gunner with the 401st Bomb Group, 614th Squadron and was making the nostalgic trip back to Northamptonshire with his wife Dorrie. 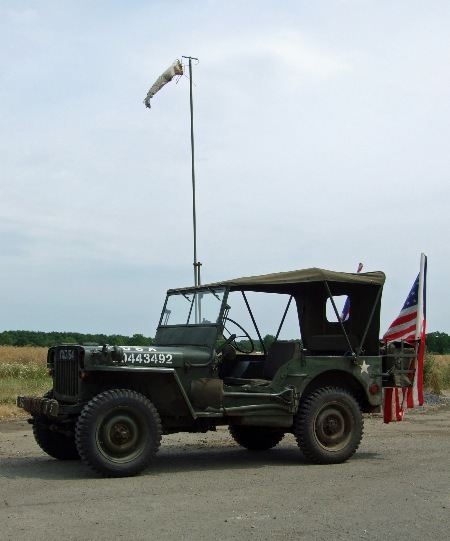 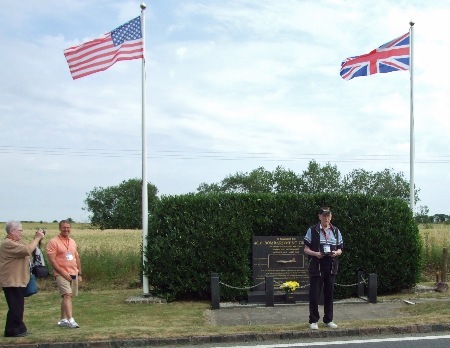 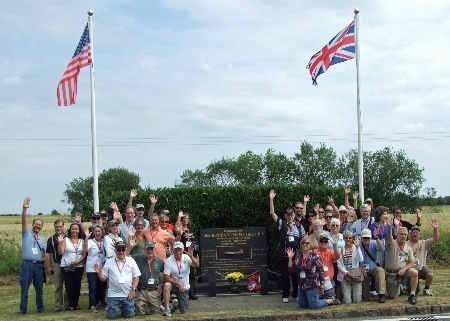 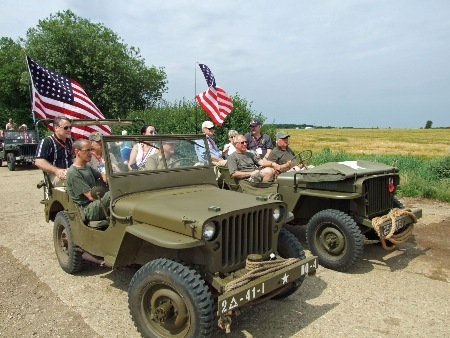 Ex-Staff Sergeant Don, who carried out 22 missions, was accompanied by 40 other Americans on the coach tour and were delighted to climb into eight Jeeps and a stray Land Rover Lightweight for a drive around the crumbling concrete perimeter track and runways of the old air base. 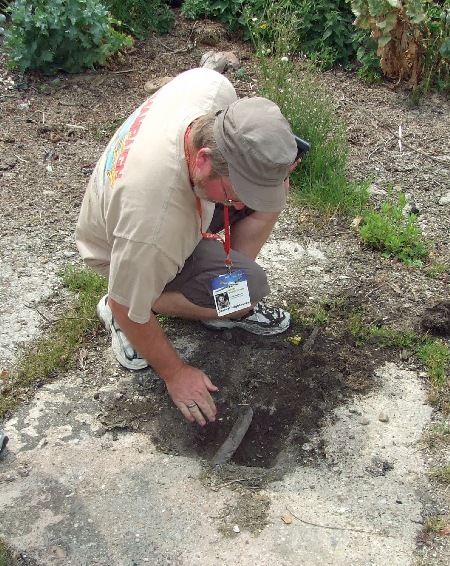 Although the control tower was no more, several airfield buildings survived and there was excitement to find some B-17 tie-down rings inserted in concrete on one pad. 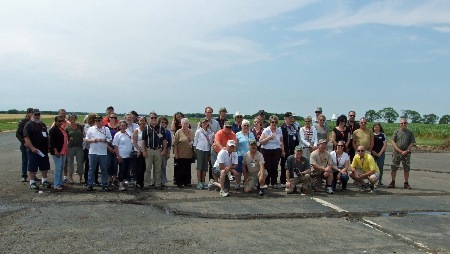 Several Americans gathered pebbles from the runway and one lady was determined to take a complete house brick back home to Texas! 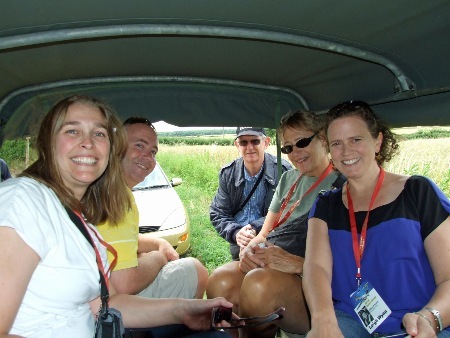 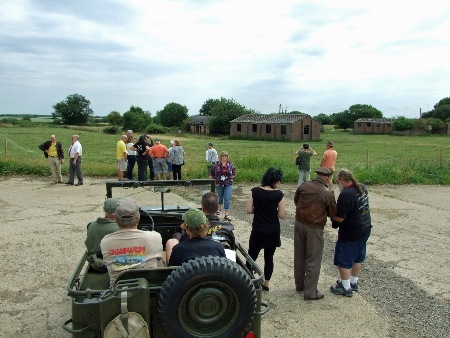 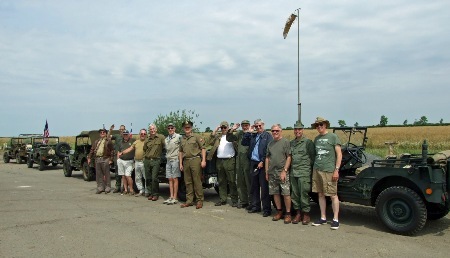 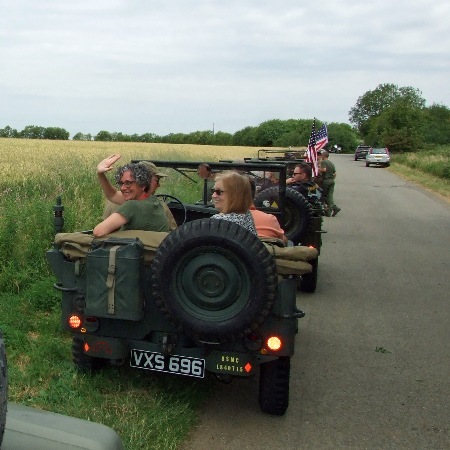 After the air base tour it was on to Oundle for a pub lunch, with our guests saying that the Jeep convoy had made their day.